Random Prose author Izzat Majeed has helped a group of musicians from Lahore race up the jazz charts in the US, recording the album at his state-of-the-art studio. Sachal Jazz: Interpretations of Jazz Standards & Bossa Nova is now grabbing the attention of the world’s media – featuring on the BBC World Service and in the India Times. 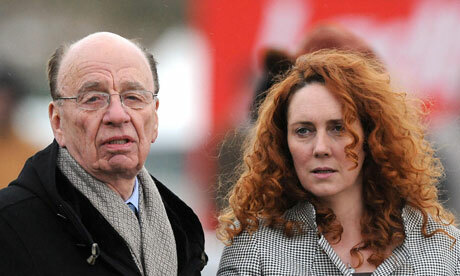 Rebekah Brooks fared extremely well yesterday with the mediocre questions put to her during the parliamentary hearings on the hacking scandal. From the expression on her face she must have felt what a bunch of second-rate examiners she was facing. It really shames the nation, and Parliament, to have fielded such a dumb lot. Prince Albert of Monaco’s wedding is shrouded in mystery. Why marry a woman who reportedly tried to runaway three times, as if kept in captivity? Is it wise to start on the wrong foot, given that marriage is a serious commitment and, as head of state, he can ill-afford to take such an obvious risk? Caroline Christensen is a woman for all seasons. A previous model who graced the pages of the Sun newspaper as a page three ‘stunna’ back in the 1980s , a distinguished and able mother – and now an accomplished writer with her debut novel Shadows Over Time. 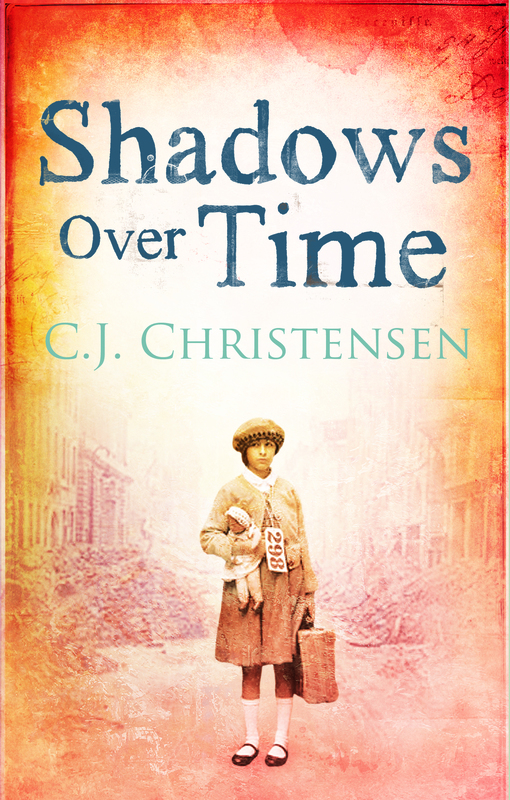 The book is a remarkable tale of one family’s history, through two world wars and beyond. Read her article from yesterday’s Sunday Telegraph, and marvel at her modelling photo to brighten your Monday. What will the judgment of the French court in Paris be in the case of John Galliano when it comes to deliver it in September after the summer recess? The facts presented to the court this June are incontrovertible and inexcusable. Earlier in the year, in a bar in the Marais district of Paris, Mr Galliano let fly with anti-Semitic and xenophobic insults against 35-year-old Geraldine Bloch and her companion, Phillipe Virgitti, in a tirade reported as having lasted for three quarters of an hour. Miss Bloch had a ‘dirty Jewish face’, he said among other offensive remarks, and Mr Virgitti, he implied with an added expletive, was an illegal Asian immigrant. Mr Galliano, it seemed, was someone who needed saving from himself, who was given to making such outbursts when he was in a swirl of reaction to having drunk too much champagne and dosed himself up to the eyebrows with Valium. His was the fate of the brilliant high-flyer – a designer for Dior who was four times winner of the British Fashion Designer of the Year award, who had the whole of the fashion world hanging on what would be his next daring or outrageous innovation – but now brought low into disgrace like a burnt-out comet. Confronted with the documentary fact of this anti-Semitic rant, Galliano said it did not reflect his actual views, but rather showed ‘the shell of John Galliano . . . someone who needs help’. He could remember nothing of the other incidents due to a ‘triple addiction’ to alcohol, barbiturates and sleeping pills, into which he had fallen in part through the pressures of his work, in part through the loss of a close companion. Under French law it is a civil crime to make public insults towards others on the basis of their origin, religious affiliation, race or ethnicity, and the judge, Anne-Marie Sauteraud, was in no doubt of Galliano’s guilt. Indeed, she said, such outbursts were so common during his drinking binges that his chauffeur had been briefed to telephone a lawyer if ever a social encounter became too highly charged. Galliano, sober, insists he is not a racist, but the classical phrase in vino verita implies it is the plain truth that comes through in states of inebriation. However, as we know today, the underlying complexities are often far greater than the surface appearance. Those who are addicted to alcohol or drugs may go thorough definite changes of personality at different levels of intoxication. In Galliano’s case, there is also a deep-seated implication that, having been raised a Catholic, he is battling an internal crisis of identity through possessing Jewish ancestry. The punishment on him for this has already been severe. Dior, fearful of the damage he was doing their image, have dismissed him after his 14 years as a star performer and his career is a wreck. The weight of the law in France could mean that for the charges against him he faces fines of 22,500 euros and a six-month prison term if the maximum penalties were applied. In practice the prosecution has said it will not seek a jail sentence, but would ask for a fine of no less than 10,000 euros. The lawyer representing Miss Bloch has said she only wants damages of a symbolic one euro, though the other complainants are seeking higher sums. What sentence the judge will hand down remains to be seen, but legal opinion considers a custodial term unlikely. 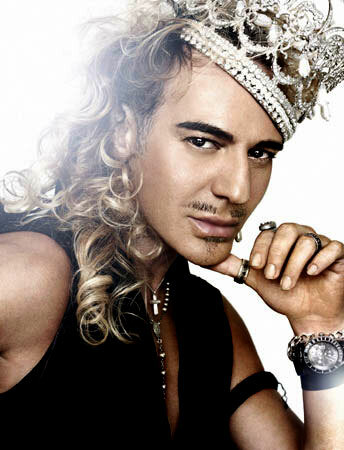 Galliano, for all his faults, is an iconic figure, who has foolishly made himself a target through garrulous, distorted opinions that can never be justified, but which indicate a degree of emotional instability and a personality in disarray. His conviction may seem to be a prize for the upholders of political correctness, but dragging him through the courts in this way can as easily be counter-productive by gaining him undeserved sympathy; it may even end by making him look like a victim. The use of the courts to pursue prosecutions on the grounds of expressions of racial prejudice must surely set some dangerous precedents that run counter to the principles of free speech and lead to people being persecuted for their thoughts. However unsavoury these may be, such a result would be a serious backward step towards totalitarianism. There can be no source of satisfaction for the Jewish community to see prosecutions being brought that could lead to imprisonment for proponents of anti-Semitic or xenophobic views. Incarceration is not the answer. It is far more effective to disregard the outrage with dignity and self-restraint. I felt distraught and angry, but settled down to ignoring this appalling treatment , realising it was ignorance that drove them. Then, one day, one of them manhandled me. I lost my cool and hit him hard with a spanner, after which I gained the respect of my fellow workers and became an integral part of the workforce. Looking back on that experience, I realise that I retain fond memories, despite the harshness of the job I had to do. Apart from that one instance, I never, ever felt a victim of racism. On the contrary, being foreign was at times a positive advantage rather than a hindrance. The pattern of life for Jewish immigrants to Britain in the first half of the twentieth century was certainly similar. They have made incalculable contributions to banking and publishing, as well as to science and the arts. Instead of punishing people for racist remarks, and so spreading bitterness and entrenching prejudice all round, we should concentrate on educating and perhaps forgiving them. In this respect I am struck by what happened in the recent case of Alexander Bell-Irving, a student who crashed his car while over the limit and killed his passenger, one of his best friends, Benedict McGrath. The judge sentenced him to 32 months in jail, with the likelihood that he would be out on parole after serving half the time. ‘He made a terrible, catastrophic and fatal error and not one he had sought out to take,’ said his defence counsel, and friends of both the young men had been in court to testify to Bell-Irving’s otherwise excellence of character. So was McGrath’s father, who had pleaded for a lenient sentence in the light of his absolute remorse and because he ‘didn’t want to see two lives wasted’. This generosity of spirit is something rare and valuable, and might be pondered on by those who always see justice in terms of seeking vengeance. Historically society is good at making a scapegoat to try to save itself from becoming embroiled in a national scandal, the Dreyfus case in France in 1894 being a classic example. Alfred Dreyfus, a Jewish officer in the French army, really was a victim of institutionalised anti-Semitism, when he was falsely accused of passing military secrets to the Germans at a time when the country was still smarting from its humiliating defeat in the Franco-Prussian war of 1870-1. The progressive liberal factors in French politics came to Dreyfus’s defence against the forces of conservative reaction and ultimately secured his release. In the UK a noted scapegoat was the osteopath Stephen Ward in the so-called Profumo affair of 1963. A wild card in the more louche sectors of society, Ward introduced a model and showgirl, Christine Keeler, to the minister for war in Harold Macmillan’s Conservative government, John Profumo, who then began an affair with her. It turned out that another of her lovers was an attaché at the Soviet embassy. Alarm bells rang and Profumo lied about his relationship with Keeler when questions were asked in Parliament and as a result he had to resign. In those sensitive years of the Cold War, various sources joined together to blacken Stephen Ward’s name, ignoring his definite virtues, which at one time gave him the reputation of being ‘the best osteopath in London’. His prestigious clients deserted him and he was charged with living off the profits of prostitution, these being Miss Keeler’s ‘immoral earnings’, along with other unproved assertions about the nature of his association with other young women of the demi-monde. His subsequent trial never reached a conclusion as he took an overdose of sleeping tablets the night before its last day, putting himself into a coma from which he never recovered. The jury, under the judge’s direction, had brought in a verdict of guilty in his absence, but his death after a few days cheated the system of delivering a sentence. Subsequently the general feeling was that Ward had been hounded to death for political reasons by a prosecution that sought to make of him a high-profile example. Ludovic Kennedy in his book on the trial denounced it as a miscarriage of justice. Keeler had received more money from Ward than he had from her, he pointed out: rather than him living off her earnings, it was she who lived on his. The point I am trying to make here is that legislation or a use of the law that restricts the freedom of the individual to express him or her self, however unpleasantly, does not in the long run make us a more civilised society. Instead it encourages hypocrisy and drives racism and hatred underground where it can fester with dire consequences for the future. The more honest the debate, the more likely it is to arrive at a resolution in sensitive matters such as racism, religion and tolerance. The Zionist elements in Israeli politics and religion tend to squash all debate and deflect rational criticism by branding it as springing from anti-Semitic malice. This is as extremist a stance as it would be to send John Galliano to prison for his confused personal aberrations. Who can say what it really is that trips these off in his brain? At the end of the day, are they anything more than impulses to be perverse and camp exhibitionism? Galliano knows he needs help. His career is in ruins and it seems unlikely that he can survive the traumas of his downfall. He has been punished enough. Let sleeping dogs lie. Forgiveness in his case is more likely to make a better man of him. Perhaps he will break the cycle of self-destruction in which he finds himself and discover the salvation he ultimately seeks.